Welcome to Blue Sky Puppet Theatre! Since 1974, we have been one of the finest touring children's theatres on the East Coast. Each of our 1,000 shows a year is dedicated to excellence in theatre, art, education and fun. Below you'll find some links to help you learn about our company. Perhaps the most important one is "repertoire". We have 15 current productions, each with a storyboard. A storyboard is a written and visual outline of the show that allows you to have a very clear idea what you may want to book. 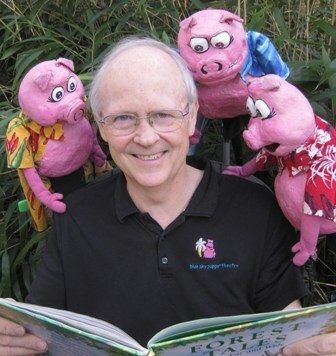 Check out Blue Sky Puppet Theatre performances at Fairfax County Park Authority's Summer Entertainment Series! A short video of our Math Education show: "Sand Castles"
"The production values were terrific! Everybody loved the music, the puppets, the story! Keep up the good work!"